Whether you are male or female Krav is right for you. The training is safe, fun and taught in a real-world training format. 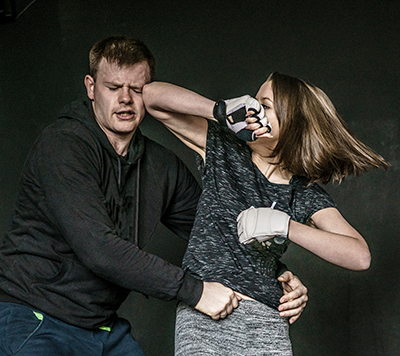 Krav Maga in both Virginia Beach and Chesapeake, Virginia teaches how avoid an assault entirely by self awareness and seeing the danger early. A potential victim’s way of carrying herself or reacting to initial confrontation can dictate an attacker’s willingness to follow through with his plans. “Don’t Be A Target! and Don’t be a victim” are the words of Martial Arts Master and Krav Maga Insructor Tracy Lee Thomas. 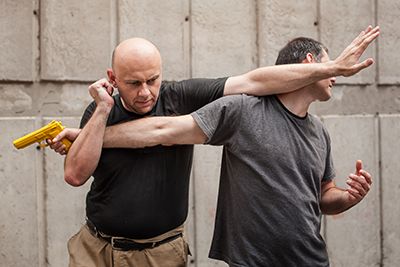 The dynamics teaching concepts of Krav Maga is owned and operated by the only Krav Maga certified licensed academy in Virginia Beach and Chesapeake, Virginia. Tracy Lee Thomas owns and operates Krav Maga schools in Hampton Roads serving multiple cities with four locations in Greater Hampton Roads for both men and women. Whether you are a college student, stay at home mom, or a business professional that may be looking to enhance your confidence, Virginia Beach or Chesapeake Krav Maga will be right for you. Studying Krav Maga you will learn to protect yourself and your family. Krav Maga has an amazing GET FIT program for those looking to increase their muscle tone, shed a few pounds, step-up the level of cardio or to just purely get into fighting shape. Krav Maga is the fastest, most effective and most enjoyable way to do it.